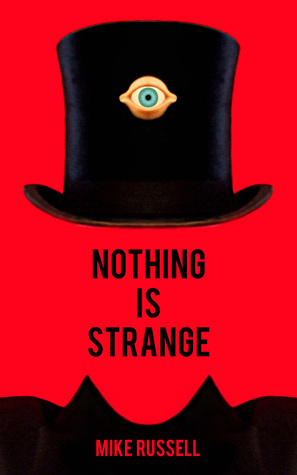 ﻿Nothing is strange by Mike Russell is a collection of twenty short stories. These stories are “otherworldly, magical, surreal, funny, disturbing and unique”. First of all, I was fascinated by the design of book cover. It is unusual, philosophical, funny eye-catching and strange just like the book. And don’t let the title mislead you. Everything is strange in this book. The stories are bizarre and will make little sense if taken at their face value. The stories are deep, open-ended, philosophical, funny and even downright spooky. Since each person will interpret every story differently, it makes no sense talking about them. Instead, I will share my reading journey. I was in a state of constant wonder. I was building up scenarios in my head attempting to find the meanings of the stories.At various points, while reading the book, I was trying to decipher what the author was thinking when he was writing these stories. The author has used colors and aural imagery which definitely helped in imagining those bizarre characters and plot lines. , there was nothing that could be construed absolutely, there was something that kept me going on. I wanted to see how surreal the characters can get. This is one of those books which you would want other people to read so you can discuss various interpretations of the stories. One caveat here, people who like to read the stories with a definite ending won’t like this book. This book is for the people who would like to push their reading boundaries. PS: I received the PDF copy of this book from the author in exchange for an honest review.